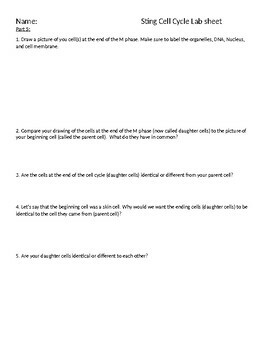 With just yarn, plastic bags, & paper clips students will explore what happens during the 4 steps of the cell cycle (G1, S, G2, and Mitosis). 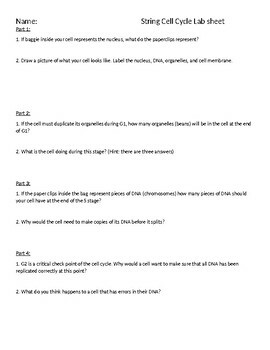 The activity is complete with instructions and a student sheet that students will complete as they work through the lab. Great introduction to the cell cycle! I have been using this activity for the past 5 years and my students love it.